This is the fourth championship Robert Luna and I have won together with the Westside Bandits. This was a real team effort as we had to fight behind in three of our games to stay alive. We never gave up and it was a different person each time who led our rallies to victory. Elmer Rivas and David Treat delivered on the mound in the playoffs and our bats stayed alive all tournament long. 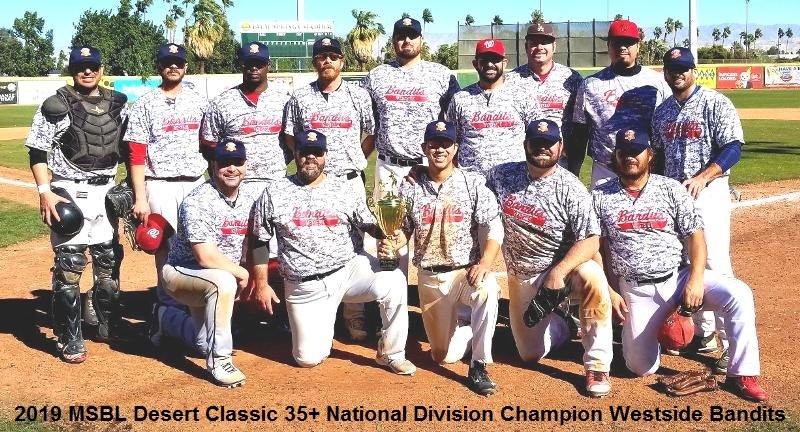 In the Desert Classic championship game we were the first to score but in the third inning we gave up five runs on three errors. We never gave up and kept chipping away, tying the score in the fifth inning. The following inning we put up one more run and never looked back! 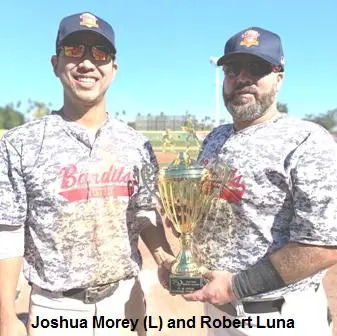 Everyone on our team contributed to the tournament win but our standout players were Robert Luna (.777 batting average), Jason Thomas (three home runs) and I was able to chip in with 12 runs scored.